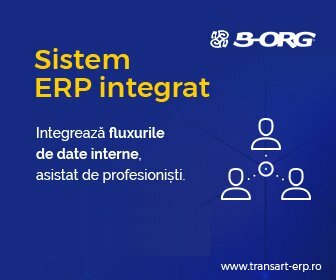 Mogyi Romania has implemented the HERMES Retail Execution system from TRANSART to automate the activity of field representatives regarding the planning, coordination and control of agents' activity. Also, the collection and centralization of merchandising and retail execution data from the shelf was automated by using Trade-Marketing questionnaires displayed on the Android tablets used by the agents. Why HERMES Retail Execution from Transart? The need for a Retail Execution solution came as a result of the changes that occurred in the company, especially through the arrival of new people in the leadership team that have used the HERMES in other multinational companies. The new management came up with a new vision that included a series of clearer goals on shelf execution regarding the presence of Mogyi’s own products in the major hypermarket chains (Modern Trade). Another important point is that a flow of real-time data was generated directly by filed representatives which allows Mogyi to improve its business approach. Since a rapid implementation was desirable, the Transart team was very prompt and immediately after signing the contract, the implementation started and everything went well and fast until the end. There were two meetings where Mogyi Romania team presented their needs, and afterwards Transart consultants created the desired questionnaires and delivered the training of the team who will use the HERMES application. Mogyi Romania is one of the most important sellers in the Nuts & Seeds category. Mogyi’s portfolio includes various types of nuts, almonds, cashew, pistachio, pumpkin and sunflower seeds - in peeled and salted variants. It also includes a diverse selection of popcorn (subtypes Mogyi Micropop and Mogyi Mexicorn) and natural seeds. As a leader in the peanuts category, Mogyi already launched in 2012 an innovative product: crusted peanuts with various aromas, under the Crasssh brand. Some of the products recently added to Mogyi's portfolio are: Caramoon Cocos, Crasssh Wassabi, Crasssh Cheese.